have made DNA Testing affordable and accessible for investigative use in the private sector. The TSCM Group located in Nashville, TN utilizes, and provides clients with DNA testing assistance, and sample collection for various situations. Our most common request, is to legally obtain an item, from an unwilling person, that can be used to obtain DNA markers. Unlike what one may see on a television show, credible DNA testing takes time, sometimes weeks, and is extremely accurate and useful, for a variety of situations. We do not provide or conduct the actual test. 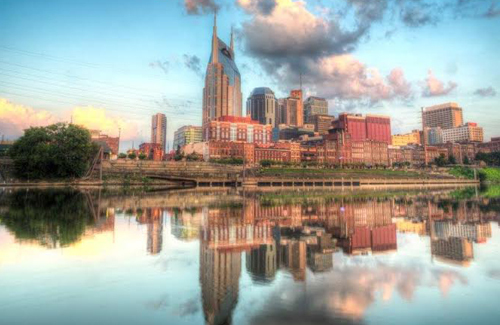 Our firm utilizes several different DNA testing labs located in Nashville, TN as well as out of state. The process is simple. A known preferred sample is collected from an individual voluntarily, or involuntarily, and is sent to the lab to develop “markers”. These markers are then compared to other markers that have been developed from a sample obtained from another individual or item. DNA testing has helped acquit those wrongfully accused of a crime, and has also established the true identity of a biological parent. Sample or item 1 is collected. Chain of custody is established. Item is dropped at a reputable lab. Second sample or item 2 is collected. Again, chain of custody is established. Reputable lab works with the sample obtained to establish markers on the 2nd item. Depending on the quality of the sample a culture may have to be developed to establish markers. Within 1 to 4 weeks a report is generated comparing the 2 sets of markers. There is either a high percentage of probability or improbability that the samples match. Cost: Varies by lab for a comparison, or testing of two samples, expert testimony for court is not included. Tip: Beware of labs that may offer inexpensive overnight testing. It may take weeks to develop markers that will work in your favor. You get what you pay for with DNA testing. Why do we DNA test? DNA testing of body fluids extracted from garments may prove adultery or other behavior. DNA testing can prove who the actual parent is. DNA testing has helped our clients by not having to engage in a lengthy investigation. A court certified expert will appear in court on behalf of our clients to explain and verify findings. We have the capability to covertly obtain items for DNA testing from non compliant, or evasive individuals.